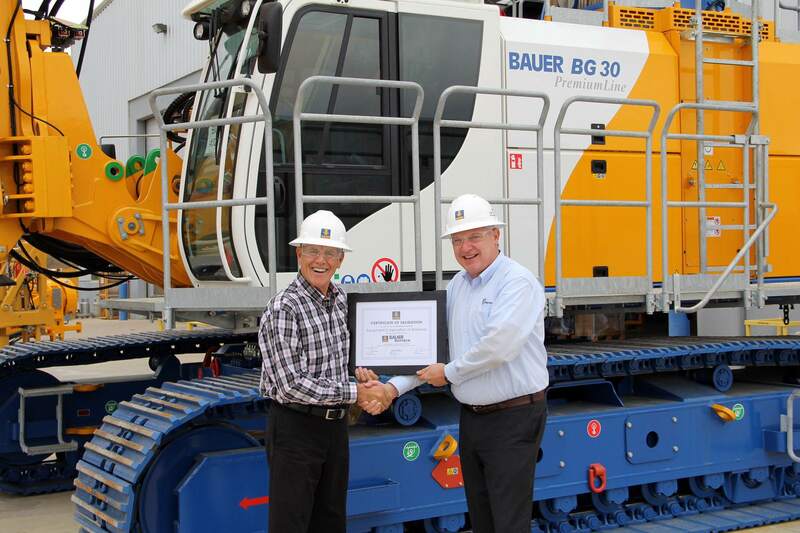 Equipment Corporation of America (ECA), a leading distributor of foundation construction equipment, received the BAUER Manufacturing Service Partner Certification Award at the BAUER Parts and Service Initiative Meeting in Conroe, Texas. ECA is an exclusive BAUER distributor covering the Eastern United States and Eastern Canada. This coveted award certifies that ECA meets all BAUER Manufacturing standards, including stocking and supplying factory-authorized parts; employing factory-trained technicians; and complying with all health, safety and environmental mandates common to the United States and Canadian foundation drilling industry. ECA earned the certification by successfully undergoing a rigid audit process at each of its six service facilities. The review included an inventory of tools and testing equipment; employee and customer technical training; service trucks; adequate maintenance and storage facilities; updated safety equipment; and compliance with oil and hazardous materials storage, handling, and disposal requirements.